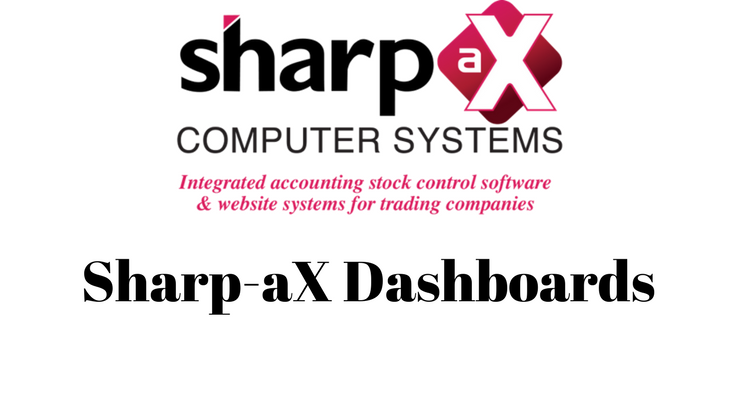 The Dashboard function in Sharp-aX is the perfect tool to let users build their working screens to simplify their business processes. In combination with the other flexible tools within the Sharp-aX core system, including Custom Fields, Custom Objects, Appearance and Validation rules, users can stream and organise their workload to suit their unique business requirements. Save time waiting for reports to print out and instead create a data summary as a Dashboard and see the information at a glance. Drill down into the objects behind the summary and interact with the Dashboard directly. Here are some ideas on what can be achieved using Dashboards. Ensure that your priority customers really are a priority: create a Dashboard of their orders and follow them through the business process. See at a glance figures on the health of your business. See the Profit & Loss and key sales indicators in one place. Control purchasing and ensure that your best selling products are available. Receive a warning when they’re running out and monitor On Time and In Full.